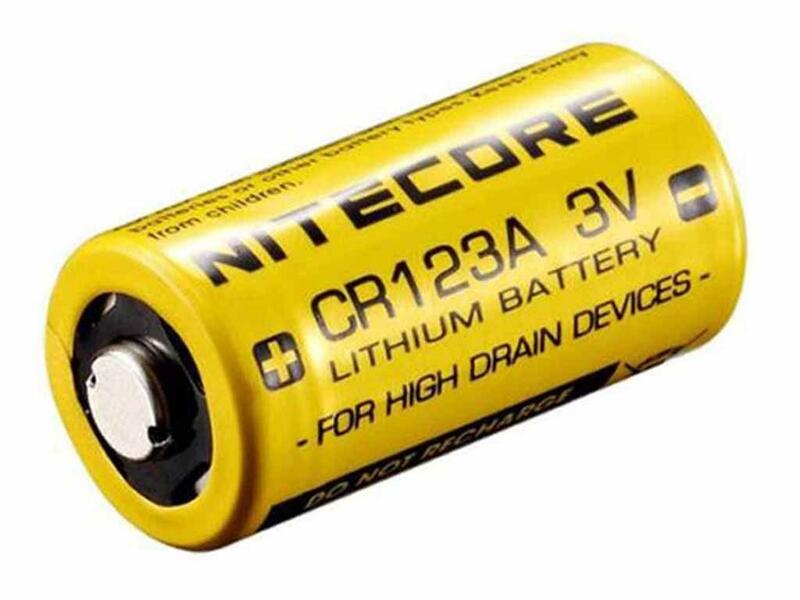 Buy Cheap Nitecore CR123A Li-ion Rechargeable Battery |ReplicaAirguns.ca | Easter Weekend Sale! Comments: Lithium batteries have a high power density and are lightweight for the amount of power they pack. Unlike alkaline batteries that only generate 1.5 volts, 123A batteries generate 3 volts. Lithium batteries are known to maintain a fairly constant voltage for up to 95% of its life, depending on the discharge rate. Also, they can retain up to 90% of their original power output capability after 10 years of storage, making them perfect for emergency preparedness use. Lastly, a lithium battery will outperform other battery types as they are able to withstand a wide temperature range providing a working output from -76° to 176°F (-60 to 80°C).